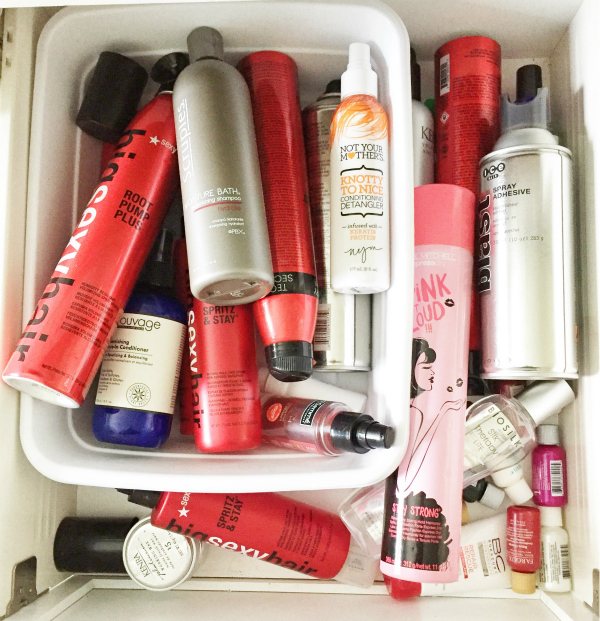 Look... don't mock the hair care drawer craziness. There's some DANG GOOD stuff in here! 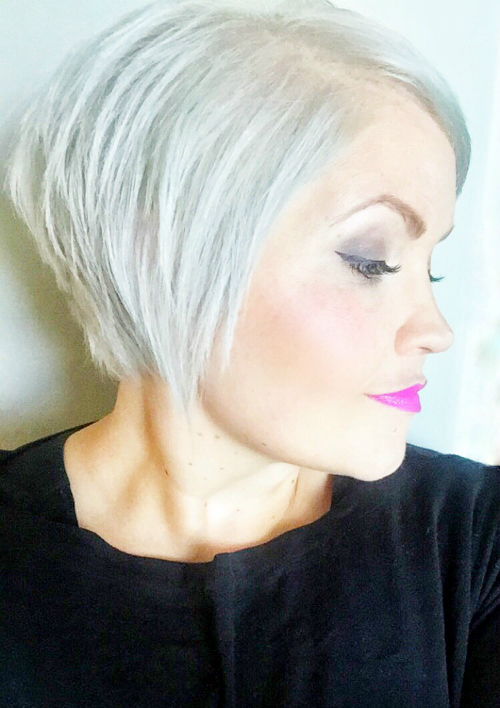 As a former hair stylist, I'm basically addicted to anything that says, "Smoother, healthier, stronger hair." LOL. Yup, that's pretty much EVERY bottle of ANYTHING nowadays. So that being said, I've got a handful of DEFINITE favorites. 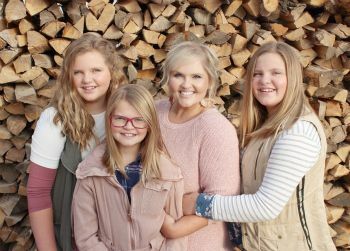 And believe me, I'm picky, so I hope you take my word for it when I say you've GOT TO TRY THEM... because this gang of girls LOVES them! 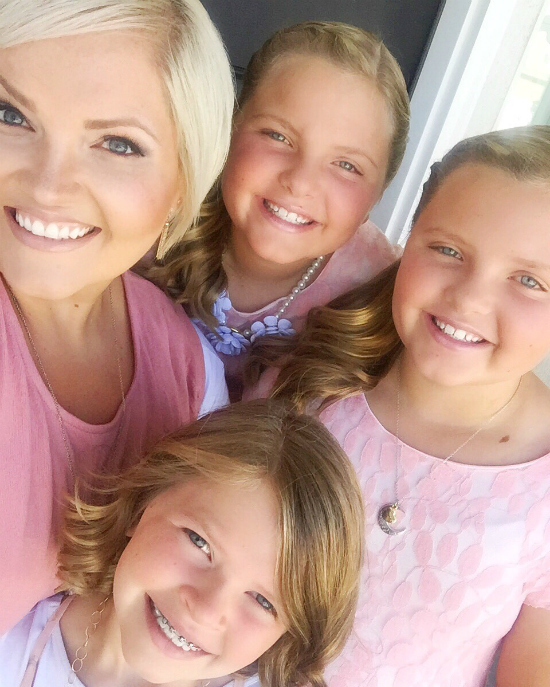 For my twins' thick, long, tangly hair I have always loved the Luxury Enjoy shampoo and conditioner. BAD news though, they stopped carrying it in beauty supply stores... so dumb. So I went on the hunt for other brands that could compare. 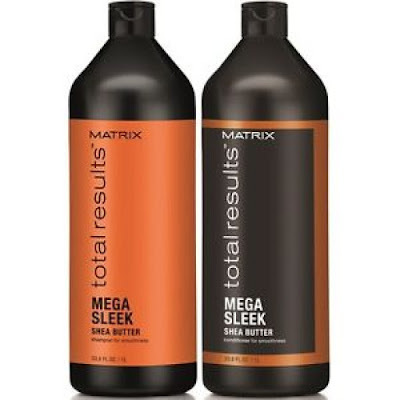 I've tried TONS of pricey, fancy, promising combos, and one that I've had my kids and my best friend try out, that we've both loved, is the Matrix Mega Sleek Total Results. And guys, it's CHEAP! I snagged mine at Cosmo Prof, but you need a professional hair license to buy it, or find someone who has one. They also sell it at Ulta. 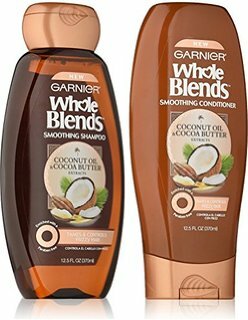 Another that I've loved for my kids is the Garnier Whole Blends, smoothing coconut shampoo and conditioner. YUMMY! This stuff smells so good and is also super affordable... and at Walmart! It's a MUST try for tangly, dry hair. Now for my crazy white-ish, gray-ish, chrome-blonde hair, it's ALL about the toning! And these are BY FAR the best out there, for the price. I promise you. 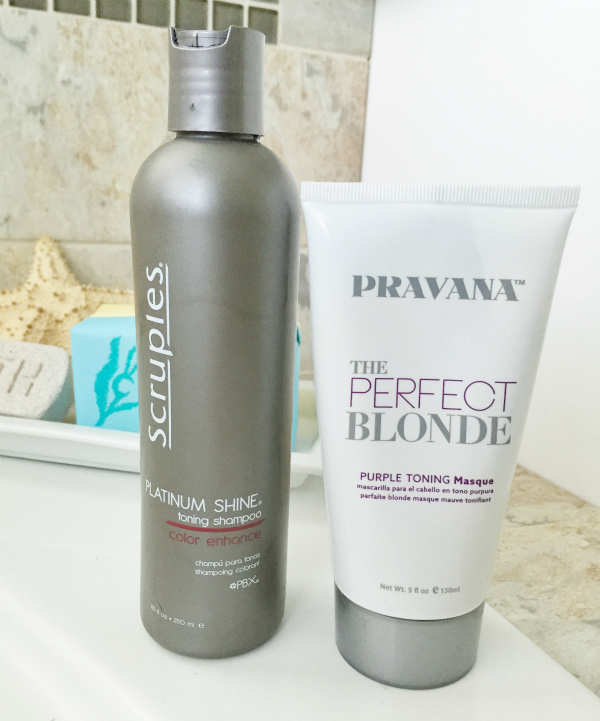 Scruples platinum shine toning shampoo and Pravana's perfect blonde mask. If you're just going to do one, go with the shampoo. I love it!!! Guys, BOTH are very purple, meaning that the longer you leave them on, the cooler your blonde will get. So basically, I shave, wash my body and do all of my other shower duties while these soak in and tone me right up! I use them about 2-3 times a week. And yes, you can use them even if you just have blonde highlights. It won't do anything to the darker portions of your hair. ***Note: These aren't really the best for smoothing and detangling, so you might need to also use a good conditioner afterwards. I've tried them ALL. Seriously. That, and all the freaking detanglers in the land. Verdict? I hate EVERY SINGLE detangler... they don't work. lol. So, we have resorted to leave in conditioners, and this has been my favorite, by far. 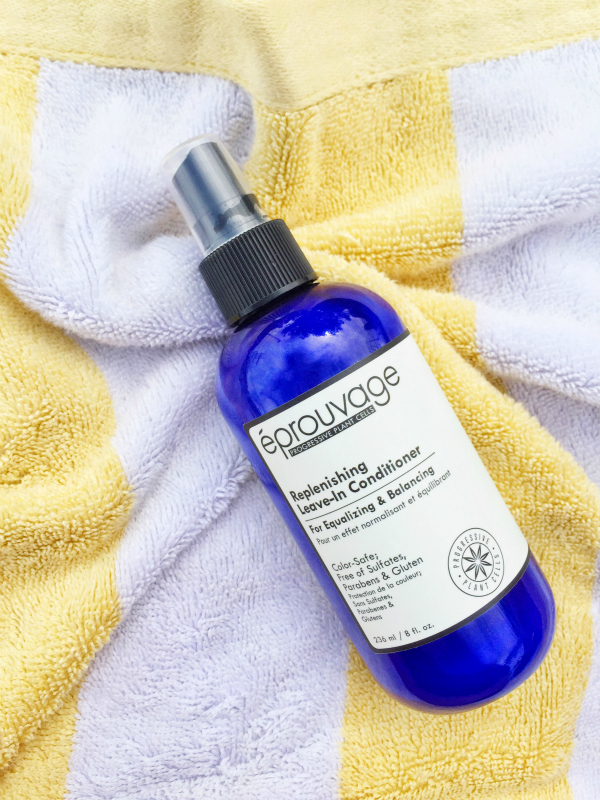 Eprouvage Replenishing Leave-In Conditioner. I take it to the pool and lake, so I can spritz it in after I've been in the water. Makes my hair not look dry and frizzy. The smell is AWESOME and it really smooths me and my girls' hair out so well. I snagged mine at Ulta, and to be honest, it's quite pricey, but goes a long way! 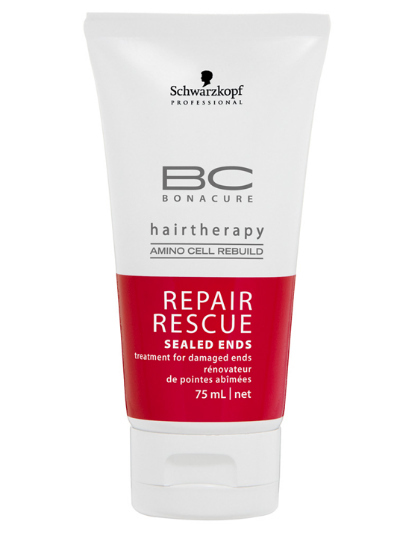 My next favorite product is Schwarzkopf's Repair and Rescue. This stuff has changed my dry, over-processed hair! It says it's just for ends, but I'd bathe in the stuff if it made my bod feel as good as my hair after a week of use. 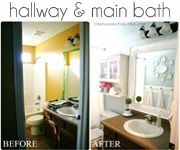 Just towel dry and apply. Then style like normal. I saw almost immediate results. LOVE it! My last favorite, healthy hair product, is for taming frizz. It's an oldie, but a goodie! 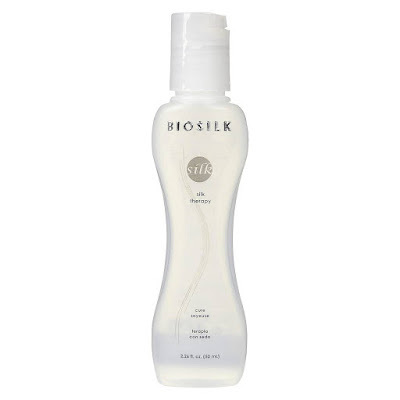 Bioslik Silk Therapy Oil. You can find it almost anywhere now. Target, Walmart, Ulta. If your hair is especially dry on the ends, I'd run some of this through before blowdrying. But if you just need it to tame frizz, then use a small drop or two in your hands and smooth over your hair after you're just about done styling! It smells delish, and lasts forever! I hope you like my picks! They're truly some of my very favorites. What are YOUR favorite haircare products, for healthier hair!? I'd love to hear! 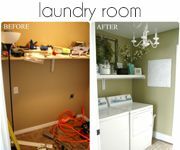 I love that you did a round up of these products!!! My hair tends to be fine but there's a lot of it (does that make sense?) and it breaks so easy. I try to only wash my hair two times a week and depend on dry shampoo the rest of the time but i've notice my ends still look and feel so dry! I'm going to try the repair and rescue stat! Have you ever used the miracle 10 leave in? thoughts? Love all the product recommendations!! As a former stylist (and a mom) any suggestions for nasty pregnancy hair? My hair is naturally curly but since getting pregnant it is heavy and even if I just use product on the ends, the top is still grimy and gross. Clarifying shampoo works but only on the day I wash it and I know it's too harsh to use everyday. And i feel like I can only use so much dry shampoo before that causes buildup. Any advice?? Just wondering what your thoughts are for serious swimmers. My daughter swims 4-5 times a week all year and her hair is always so dry and brittle. Of course it doesnt help that she is just a tiny bit stubborn in her preteen years and anything I suggest is lame!!!! I'm trying to find PuffMe. With fine and thinning hair a girl has to get creative trying to make it look like she has more hair. A few questions for ya. 1) I have graying hair. Salt & Peppa! 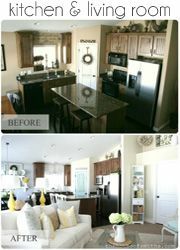 40-50% gray, the rest dark brown. Would that "blue" shampoo be good for it? I say "blue" because I told my hubby "I'm 48 and old, because I'm trying blue shampoo like my Nanny!". 2) Have you tried the Argan Oil? 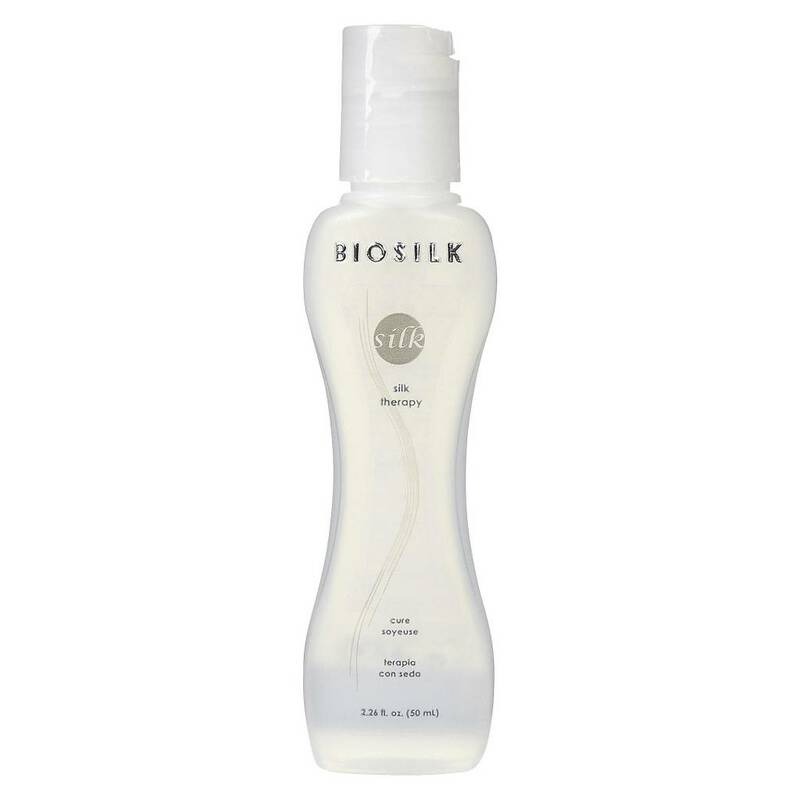 I've always used the BioSilk, but am giving this a try. 3) I have thick, coarse, kinda frizzy hair. What would you recommend? Thanks for your tips. 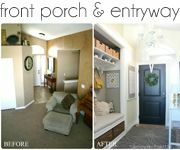 Been a follower for years and love your blog! What would you recommend for dark brown, colored (monthly) dry hair?